My uber-talented Mister made me a growth chart ruler for Mother’s Day a few years back. Since then, he’s had numerous inquiries and requests so we’ve decided to make them more available. There’s a new page on the website where you can ask questions, and/or order your own custom ruler. While we don’t currently offer shipping, local pick-up is available in the Victoria area! As I mentioned here, I’m a bit obsessed with Pinterest. One could call me a Pinterestaholic and they wouldn’t be far from the truth. When Mother’s Day rolled around, I dropped more than my fair share of hints as to what I’d really like for a present. Lucky for me, Mister is a handy guy, and he obliged my nagging. Armed with a piece of lumber and a number of tools (including custom brands for the numbers) he worked away over a couple of afternoons, and made me this awesome gift. 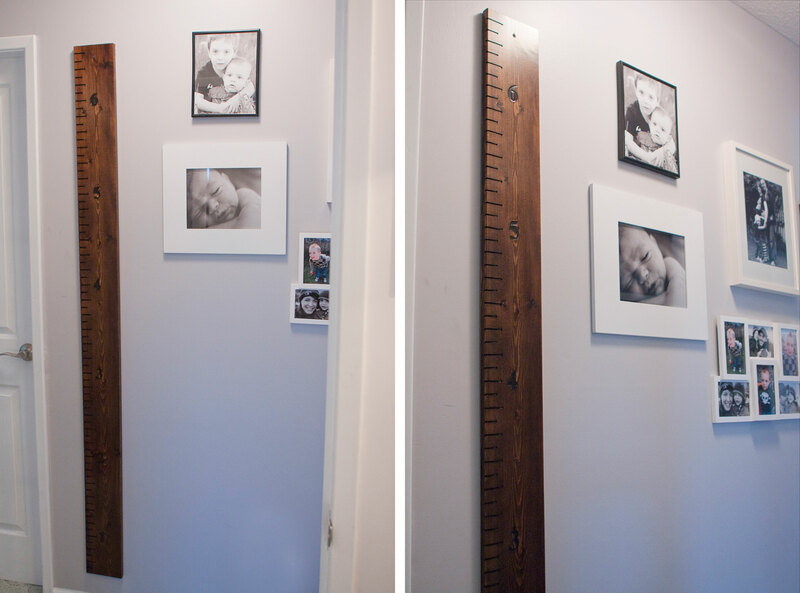 Now, instead of just a piece of moulding, we have a pretty awesome (moveable) ruler to record the heights of our boys as they grow up!